So here we have the next instalment in the ongoing Lord of the Rings game franchise. War in the North, surprise surprise, is a roleplaying game with co-op options set in Middle Earth, it will feature an elf caster, a human rogue and a dwarf fighter. With them you must beat down some familiar faces from previous Lord of the Rings games and movies, Orcs, Sauron, all that jazz. I highly doubt this one will be a genre-changer, or anything more than just a moderate success, but it does look to be a good, well-rounded if not typical RPG-action game. Players will have upgradable skills, characters can also be customized in whatever way you wish but, just like in Mass Effect, there are possible moral implications. 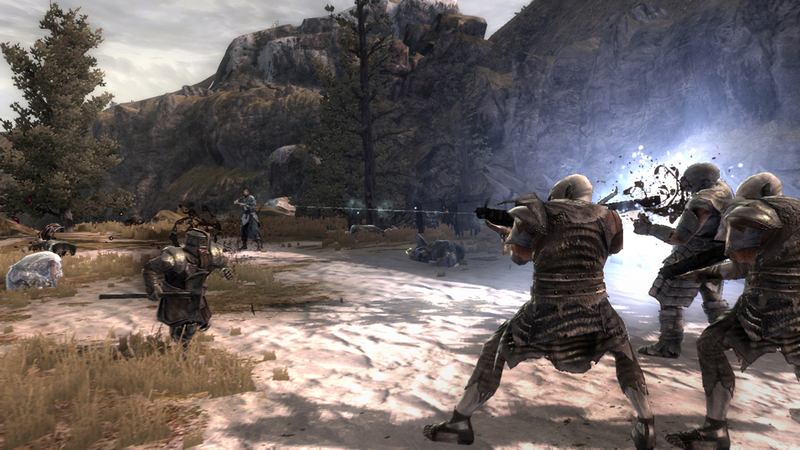 As you might expect, characters will also come equipped with ranged weapons as well as melee ones. Dwarf champion Farinwill be equipped with a crossbow, human ranger, Eradan will have a bow and Andriel the mage has spellcasting abilities. All characters also have light and heavy attacks and can roll, block and counter attack enemies. Players can also issue orders to their AI companions if they are playing solo. There are also hub towns and villages in the game which function as points where the party may rest, accept new quests, speak to people and stock up on new supplies. Many locations that are not featured in the movies and in previous games are features in the game, with various locations already been confirmed including Ettenmoors, Fornost, Mirkwood and Mount Gundabad. As well as unfamiliar lands, you will be playing on maps that, if you’ve seen the movies, will be quite familiar with, The Shire, Bree and Rivendell amongst the ones on the list. The usual gang will be present in War in the North, Gandalf, Elrond, Frodo, Andriel and quite a few more. 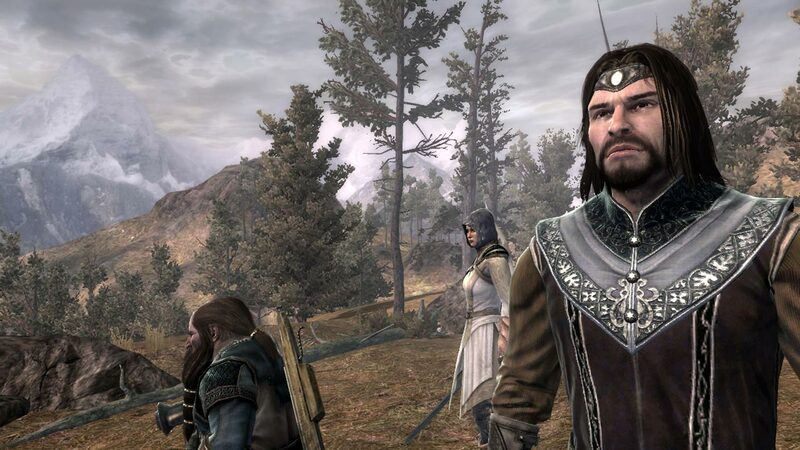 War in the North is set far from the familiar Lord of the Rings movie storylines, this time around you’ll have to pit yourself against the usual enemies (as well as a few new additions!) deep in snow-covered mountains. The game’s graphics are looking pretty nice, especially during battle sequences, the game’s terrific use of camera angles has had an extensive amount of development so expect to have action packed battle and cut sequences with plenty of blood and loose armour flying everywhere. Lord of the Rings: War in the North from Snowblind Studios will be hitting the shelves on the 9th of November, just in time for the Christmas rush. So if you’re a fan of the popular medieval fantasy franchise and you’ve got a Microsoft Windows PC, Xbox 360 or PS3, you’re not going to want to miss this bad boy, no sir. Feels like this game has kind of snuck up on me. Not a great deal of hype but it actually looks pretty cool.